Feeling trapped in a boring job? Would a job that pays more than daily needs and feels challenging be a life improvement? How about a job makes a person feel proud of what they are doing? Answering yes to any of these questions indicates that it is time for a change… Why not check out a Dental Assistant Program to start a new career? Make a change and become a dental assistant – a job with employment opportunities anywhere in the United States. 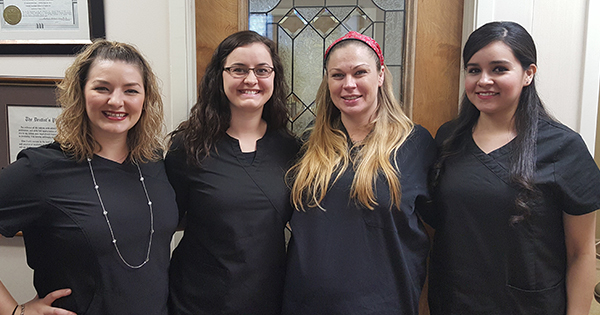 In today’s job market the dental assisting field is growing faster than most others and there is a great need for qualified dental assistants. No matter what the status of the economy, every person needs dental work at some point. Hence, being a Dental Assistant is a perfect recession-proof career. Our Dental Assistant Program is direct and straight to the point, no messing around! Learning everything including impressions, crowns, instruments, x-rays, etc.! We couldn’t be happier with every group of students that graduate from our school, they are all exceptional! 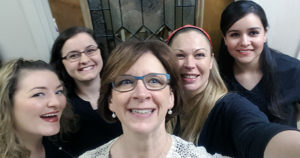 Congratulations go out to our graduates from a recent program: Jessica, Sarah, Melissa and Alta. Nice work everyone!